This quote is when Othello and Iago are talking about Cassio and Iago keeps getting things into the head of Othello that his getting cheated on. Shakespeare plays on making a metaphor on this phrase by comparing a man to a monster and a beast. A man with horns usually means that someone is getting cheated on, or so so it’s called in the Latin Heritage when they tell you, they are putting you horns means that they are telling you that your partner is cheating on you. In this play, the horned man is Othello because he believes that Desdemona is cheating on him with Cassio. The monster is the jealousy that is within him because it scares the people who are around him and it’s creating him into someone that no one recognizes because he is letting the jealousy control him and that makes him into a monster which no one recognizes. It also says he is a beast because the actions that he is taking for example when he slapped Desdemona, he was acting like a monster which is an animal that is not domesticated meaning Othello has no morals. In this part of the play Desdemona is talking to Emilia and Iago about the change of personality that Othello has, and Desdemona tells Emilia that she might be judging Othello harshly. Also, Shakespeare plays on the word God; it says that men are not gods by which he means that men are not perfect and that they will make mistakes. But he also adds the word “observancy” that is like observing which is saying that women shouldn’t be looking or judging on the mistakes that their husbands make because no one is perfect and they would always make mistakes. It could also mean that Desdemona realizes that her marriage is not perfect and won’t last forever as gods do. She could also be realizing that Othello is not the great person that she believed to be because in the eyes of Desdemona before Othello was perfect and now after they all been through, she could start to see that Othello isn’t the same. 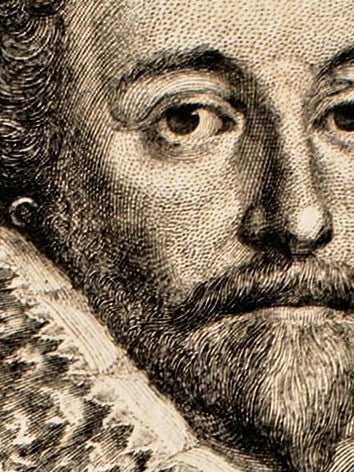 Analyzing and Writing about the Language in Shakespeare by Guadalupe is licensed under a Creative Commons Attribution-ShareAlike 4.0 International License. Will you create a post like this one?